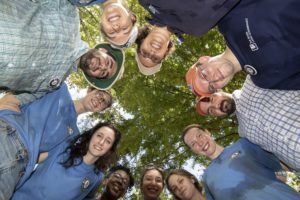 Home » News » Help TRLC Build New Trails! 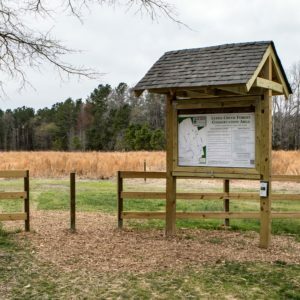 Tar River Land Conservancy (TRLC) plans to open 2½ miles of new hiking trails at the Ledge Creek Forest Conservation Area in February 2019. Chase Robinson, who recently joined TRLC through the AmeriCorps program, is recruiting volunteers to complete the trail network expansion. Trails will start at a parking lot that will be located at 3258 Old NC-75 just east of the Town of Stem. 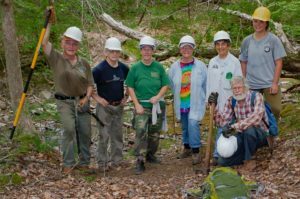 The new trails will complete the second phase of the trail network at the 381-acre Ledge Creek Forest Conservation Area. The public can currently access three miles of trails at the parking area located at 3189 Brogden Road. Hiking trails will be constructed using hand tools to minimize impacts to soil and vegetation. The trails will feature hardwood forest found along Ledge Creek, an old farm pond, and areas being converted to native wildflower meadows to benefit pollinator insects. Volunteers have already constructed 1½ miles of the new trails. Please contact Chase Robinson at 919-496-5902 or volunteer@tarriver.org to sign up for a specific work day. Additionally, Mr. Robinson can schedule team service learning events for community and business groups separate from the regularly scheduled work days. Please contact him if your group may be interested in helping to build trails!